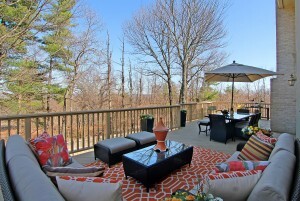 An Amenity-Filled Luxury Home, Meticulously Designed, Located in a Prestegious & Private Location! There are absolutely no negatives when it comes to this property, its has a presence about it that instantly uplifts yo u the moment you walk through the french doors and onto the marble floor, you will know that 12 Windsor is where you should call home. You’re probably wondering, “are there anymore amenities included in this luxurious home?” “Is there any outdoor space?” The answers to all these questions can be answered by joining us on Sunday April 26th, from 1 – 4pm to view this exquisite property for yourself & meet a member from our team! We look forward to seeing all of you on Sunday!